Now we are in August the promise of spring surrounds us here in Adelaide. Clothing stores are now filling their shelves with lighter fabrics in brilliant corals and pastels (yipee! 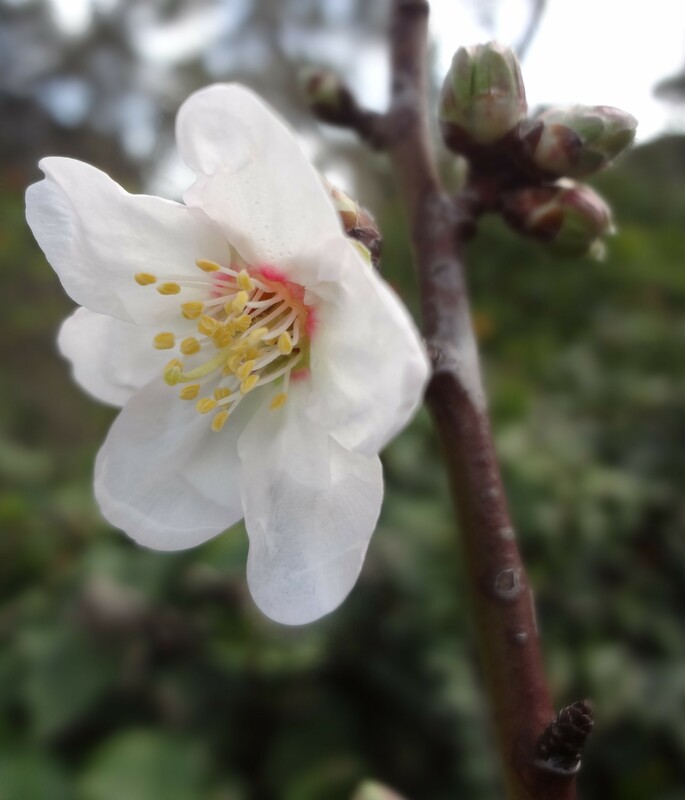 ), my almond tree blossomed for the first time on Sunday and my mind is beginning to fill up with spring time fancies. Whilst it isn’t quite time to say goodbye to the sneaky red wines, warming casseroles and knitted wear just yet … I find myself beginning to dream of long beach side walks, leisurely cycles, nourishing salads had alfresco and getting stuck in to some serious spring gardening. With spring comes hope – and daffodils ! This Winter has proved a wonderfully nurturing time for me. I have taken the last few months to really sit back and think about who I am, what I want and try to change things both inside and out in order to achieve a happier and much healthier me. Of course there have been many failures, plenty of frustration, the odd successes and down right flukes. I find it very difficult to admit to failure – but let me just say I am not a squatter or a dedicated knitter ! I do love to cook and have discovered a love for new ingredients and recipes… but I am not there yet. I love yoga, but I am still very much the stiff amateur and the idea of becoming a runner …. is still very much that, an idea. I sometimes fail to remember that some foods are downright bad for my digestive health. Sometimes my body just fails, even when I think I’ve done it all right. Guess what ? My greatest revelation in the last few months is to accept that I can fail. Without failure we cannot grow, learn and improve. Even the most talented of us fail on our road to success. It’s not to be ashamed of ! You cannot fail without trying .. so as long as I continue to try for that happier, healthier lifestyle there will be failures – and I accept them ! I fancy myself to be one day the dedicated Yogi, who shops weekly at farmers markets, runs charity marathons, cooks up deliciously healthy meals, creates artwork with the camera and travels freely and successfully through life. Here is to failure if it gets me there ! Of course much of this positive outlook ‘stuff’ has been hard work ( and yes I some times fail ! ). A deliberate focus on reading blogs, magazines and books filled with inspirational messages, helpful information and people I aspire to has had a definite impact on my outlook and in turn overall health. I’ve made it a habit to talk to and surround myself with positive like-minded people and try to steer away from negative behaviors. In actively placing visual reminders around the home and yes even my recent time consuming obsession with pinterest ( you can follow me here – so much fun ! ) I can get back on the positive bandwagon even on the worst days. Slowly things are improving in the health department and I honestly feel this is of a direct result to me outlook. I plan to add a page to the blog sometime soon ( I have technical difficulties with blogging! ) with links to websites/blogs/books/people that have/are helping motivate and teach me. But this week it’s all been about Lorna Jane and her incredible pinterest boards ( see obsessed .. ), T2 Tea ( Chai and Tummy Tea = LOVE ) and using seasonal vegetables to create some simple nourishing meals. I would love to hear about what is inspiring you to lead a positive and healthy life ! Hi ya Rissa !Thanks for reading 🙂 Stumbled on your blog today and simply loved the story of ‘eddy and edwina’ and let me just admit here and now – I too am the biggest Harry Potter fan ! Look forward to reading more of your blog too – noticed the ‘Good Things Thursday’ and thought it was a fabulous idea. I have just started using a brilliant phone app called the gratitude journal its a fantastic way to reflect on the positive things in your day !